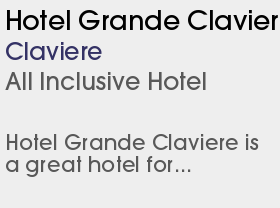 1 Half Board Hotel and 1 All Inclusive Hotel. WEsay Small, traditional and very Italian - this is a great resort for beginners and intermediates. Claviere is a small resort right on the border with France. In fact the fantastic 400kms of ski runs in the Milky Way area connects both Claviere and neighbouring Montgenevre in France, in addition to Sauze, Sestriere, Sansicario and Cesana. Skiing knows no international boundaries! The characteristic mountain village architecture of Claviere is a charming blend of old and new, set amidst breathtaking scenery, and the locals claim it has the best snow conditions in the Milky Way. The local Claviere pass, one of the best value passes in Italy, will entitle you to unlimited skiing in the Claviere and Cesana area and includes two day extensions into the rest of the Italian Milky Way. Sauze and Sestriere can be reached in a full day skiing by dedicated and fast skiers, snow conditions permitting. All but the fastest skiers are recommended to purchase the local Claviere lift pass. 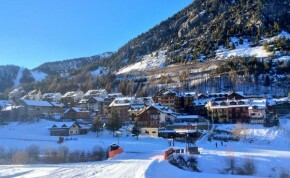 The nursery slopes are located near the centre of the resort. Beginners soon move up with the 4-seater Nuova Coche chairlift and there is awesome skiing on the Milky Way circuit for intermediates.